Other Adapters There are 44 products. 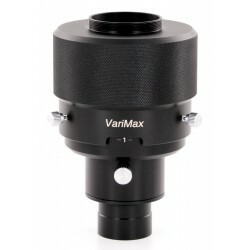 This versatile adapter will fit many premium eyepieces with a removable rubber eyeguard and a top diameter (with the eyeguard removed) between 1.25" and 1.75". New units with minor cosmetic blemishes. 100% Functional - Save $30! 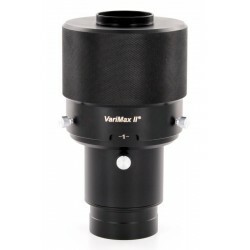 VariMax are the largest variable eyepiece projection adapters in production.. anywhere. They are so large a standard eyepiece projection adapter fits inside it! You can now use your larger more expensive eyepieces, even Zooms. Fits: iPhone 5/5S (not 5C) & & Eyepieces up to 1.5" Diameter (Purchase Upgrade for up to 2" Eyepiece Adapter). Our quality Cell Phone adapters will fit many Telescope or Microscope eyepieces with an outside diameter of 1.5" or less. Several versions to fit many popular phone models directly.. Fits: iPhone 5C (not 5/5S) & Eyepieces up to 1.5" Diameter (Purchase Upgrade for up to 2" Eyepiece Adapter). Our quality Cell Phone adapters will fit many Telescope or Microscope eyepieces with an outside diameter of 1.5" or less. Several versions to fit many popular phone models directly.. Fits: iPhone 6/6S (not 6 Plus/6S Plus) & Eyepieces up to 1.5" Diameter (Purchase Upgrade for up to 2" Eyepiece Adapter). Our quality Cell Phone adapters will fit many Telescope or Microscope eyepieces with an outside diameter of 1.5" or less. Several versions to fit many popular phone models directly.. Fits: iPhone 6 Plus/6S Plus (not 6/6S) & Eyepieces up to 1.5" Diameter (Purchase Upgrade for up to 2" Eyepiece Adapter). Our quality Cell Phone adapters will fit many Telescope or Microscope eyepieces with an outside diameter of 1.5" or less. Several versions to fit many popular phone models directly.. 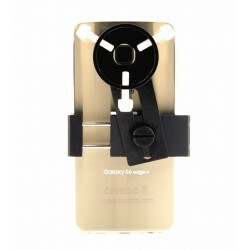 Fits: Samsung Galaxy S6 & Eyepieces up to 1.5" Diameter (Purchase Upgrade for up to 2" Eyepiece Adapter). Our quality Cell Phone adapters will fit many Telescope or Microscope eyepieces with an outside diameter of 1.5" or less. Several versions to fit many popular phone models directly.. Fits: Samsung Galaxy S6 Edge & Eyepieces up to 1.5" Diameter (Purchase Upgrade for up to 2" Eyepiece Adapter). 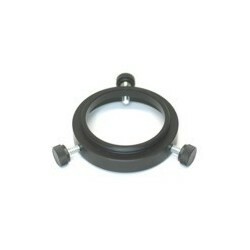 Our quality Cell Phone adapters will fit many Telescope or Microscope eyepieces with an outside diameter of 1.5" or less. Several versions to fit many popular phone models directly.. Fits: Samsung Galaxy S7 (Not Plus or Edge) & Eyepieces up to 1.5" Diameter (Purchase Upgrade for up to 2" Eyepiece Adapter). Our quality Cell Phone adapters will fit many Telescope or Microscope eyepieces with an outside diameter of 1.5" or less. Several versions to fit many popular phone models directly.. Fits: Samsung Note 4 & Eyepieces up to 1.5" Diameter (Purchase Upgrade for up to 2" Eyepiece Adapter). Our quality Cell Phone adapters will fit many Telescope or Microscope eyepieces with an outside diameter of 1.5" or less. Several versions to fit many popular phone models directly.. 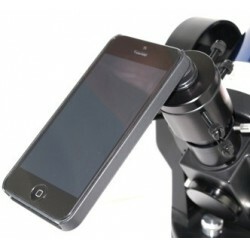 This Universal Smart Phone adapter is offered in 2 sizes to fit many Telescope or Microscope eyepieces. Simply place the lens adapter over the phones camera lens, squeeze in the sides and tighten everything down with a single thumbscrew.